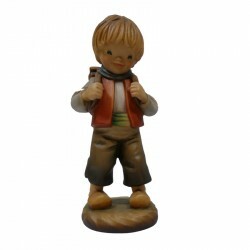 Hand-painted and hand-made wooden statues from Valgardena for nativity scene. 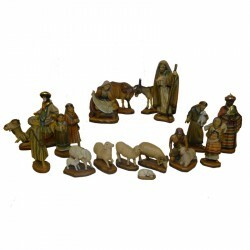 WOODEN STATUES FOR NATIVITY SCENE There are 24 products. 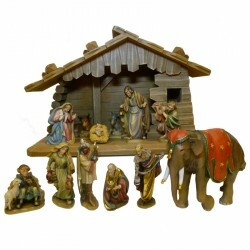 Nativity scene with 12 statues from cm. 12 wood made entirely by hand in Italy. LAST PIECE. 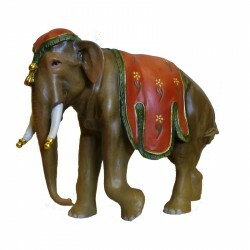 Elephant from cm. 15 wood made entirely by hand in Italy. LAST PIECE. 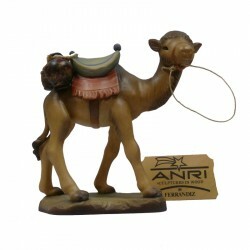 Camel from cm. 15 wood made entirely by hand in Italy. LAST PIECE. 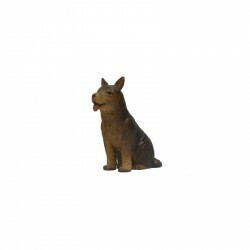 Dog from cm. 15 wood made entirely by hand in Italy. LAST PIECE. 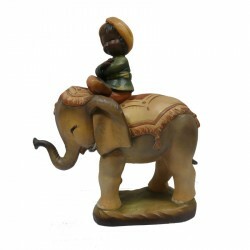 Shepherd with wood from cm. 15 wood made entirely by hand in Italy. LAST PIECE. 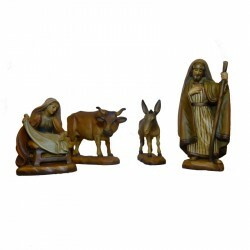 Holy Land 4 pieces (Mary with child, Joseph, Donkey and ox) cm. 10 wood made entirely by hand in Italy. LAST PIECE. Nativity scene with 17 statues from cm. 10 wood made entirely by hand in Italy. LAST PIECE!. Shepherd with sheep from cm. 10 wood made entirely by hand in Italy. LAST PIECE!. Sheep for cm. 10 wood made entirely by hand in Italy. LAST PIECE!. Group 5 shepherds from cm. 10 wood made entirely by hand in Italy. LAST PIECE!. 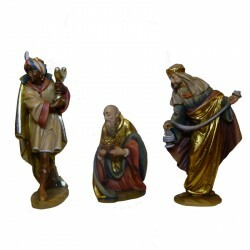 Nativity scene Bernardi 3 pieces (Mary, child and Joseph) cm. 10 wood made entirely by hand in Italy. LAST PIECE!. 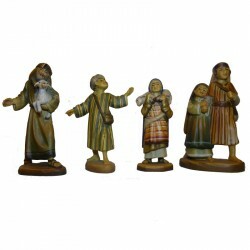 Bernardi Nativity 5 pieces (Mary, baby, Joseph, ox and donkey) cm. 10 wood made entirely by hand in Italy. With or without hut. LAST PIECE!. King Bernardi Land (Baldassarre, Melchiorre and Gaspare) from cm. 10 wood made entirely by hand in Italy. LAST PIECE!. 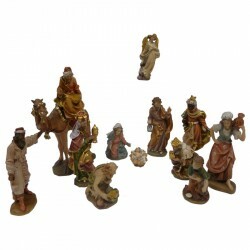 Nativity scene with 13 statues from cm. 10 wood made entirely by hand in Italy. LAST PIECE!. Group 3 shepherds with elephant from cm. 10 wood made entirely by hand in Italy. LAST PIECE!. 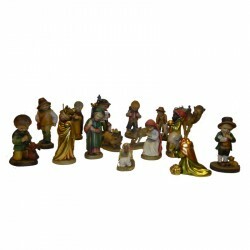 Nativity scene with 16 statues from cm. 7,5 wood made entirely by hand in Italy. LAST PIECE!.